Google Fiber services officially end at 11:59 p.m. on Monday. LOUISVILLE, Ky. — After announcing its exit from Louisville, Google Fiber has agreed to pay the city nearly $4 million to repair the damage caused by the removal of the service. Google Fiber said that the company would leave Louisville in February, citing technical challenges. As part of its franchise agreement and local regulations, Louisville Metro Government and Google Fiber agreed to a payment of $3.84 million. These payments will be made over a 20 month period and will cover the costs of removing fiber cables and sealant from roads, milling and paving, and the removal of above-ground infrastructure. 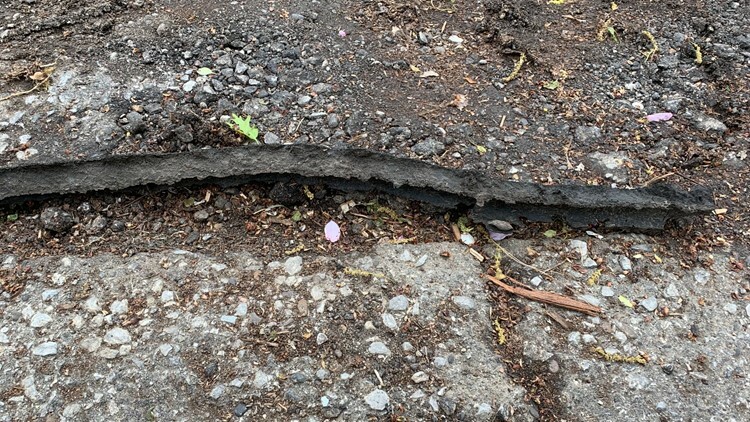 Construction is expected to begin as part of the Public Works paving season currently underway and will take place as needed in Portland, Newburg, and the Highlands. Google Fiber is also making a $150,000 cash donation to the Community Foundation of Louisville's Inclusion Fund as well as a donation of 275 refurbished computers to the Louisville Metro Housing Authority. The company is ceasing its service in Louisville at 11:59 p.m. on Monday, April 15. After making the exit announcement, Google Fiber has provided two months of free service to allow costumers time to arrange an alternate internet service provider. "Discontinuing service in Louisville was a very difficult business decision for Google Fiber," said Mark Strama, General Manager for Google Fiber. "We will forever be grateful to Mayor Fischer and his team for their commitment to the residents of Louisville and their dedication to driving internet connectivity and digital inclusion across the city."